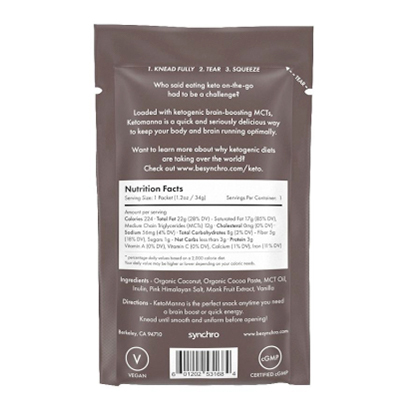 A fat bomb with 22 grams of fat per packet, and so easy to travel with! 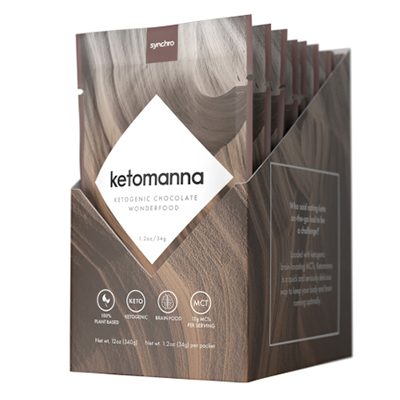 Ketomanna packets are a combination of coconut, cacao paste, MCT oil, salt and monk fruit, you need to stick these in the fridge and enjoy cold. It’ll totally change your keto snack game.